Right click Parameters in Outline and select Parameters → New parameter file from the context menu. Select the location and name of the new parameter file. Confirm the name by the OK button. 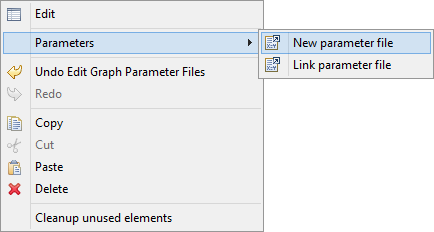 Parameter file appears in your project and the file is already linked into your graph. Just double-click the empty parameter file and add some new share external parameters.